There are many other places in both the Old and the New Testaments where we read about angels. They appeared, for example, to Abraham before visiting Sodom to try to find ten honest men. Jacob wrestled an angel and had a dream in which he saw angels ascending and descending upon a ladder. There was an angel stationed at the gates of Eden as Adam and Eve were cast out. There was the angel of the Annunciation, Gabriel—without whose presence it is difficult to visualize the Incarnation. There was the angel who appeared to John the Baptist’s father, angels who appeared outside the tomb, and angels who appeared to the faithful at the Ascension—not to mention angels who "ministered" to Christ so often in Scripture. These are far too many references to be simple embellishments, with far too much detail. 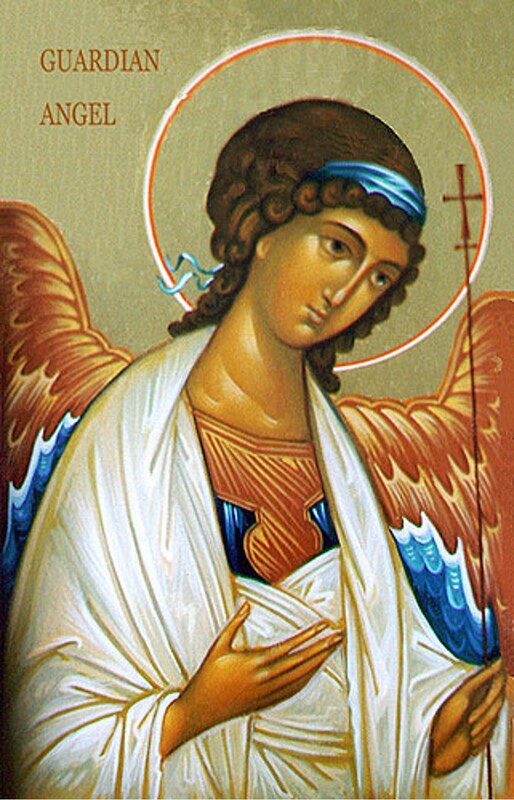 The Church also teaches that God has given us angels as guardians to lead us to good thoughts, works and words, and to preserve us from evil (since the 17th century the Church has celebrated a feast honoring them—now observed on October 2nd). He has charged His angels with the ministry of watching and safeguarding every one of His creatures that do not behold His face. Our Lord says in the Gospel, "Beware lest ye scandalize any of these little ones, for their angels in Heaven see the face of My Father." The existence of Guardian Angels, is, hence a dogma of the Christian faith: this being so, we need to be respectful of angels. How great our solicitude should be, lest, by any act of ours, we offend those eyes which are ever bent upon us in all our ways! Angels are immortal. "Then He will say to those at His left hand, 'You that are accursed, depart from me into the eternal fire prepared for the devil and his angels.'" (Mt. 25:41). Angels possess understanding and free will. "For if God did not spare the angels when they sinned, but cast them into hell and committed them to chains of deepest darkness to be kept until the judgment..." [2 Peter 2:4]. The angels had a free will and knew it when they were disobeying God by following Satan in his rebellion. Angels are greater in might and power than any other creature. "Whereas angels, though greater in might and power, do not bring against them a slanderous judgment from the Lord" (2 Peter 2:11). Most Catholics were taught as children at least two formal prayers that were addressed to angels: “Prayer to St. Michael the Archangel” and “Angel of God”. As adults we would do well to continue saying these prayers daily in order to seek the guidance and protection of God’s holy angels.